Features mica fiber woofers, PEI mylar tweeters. Foam gaskets minimize vibration and provide air-tight seal. 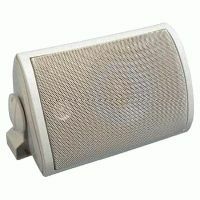 with On-Q Pre-Construction Speaker Brackets. Excellent sound quality at low and high volumes.